Take your craft project to the next level. 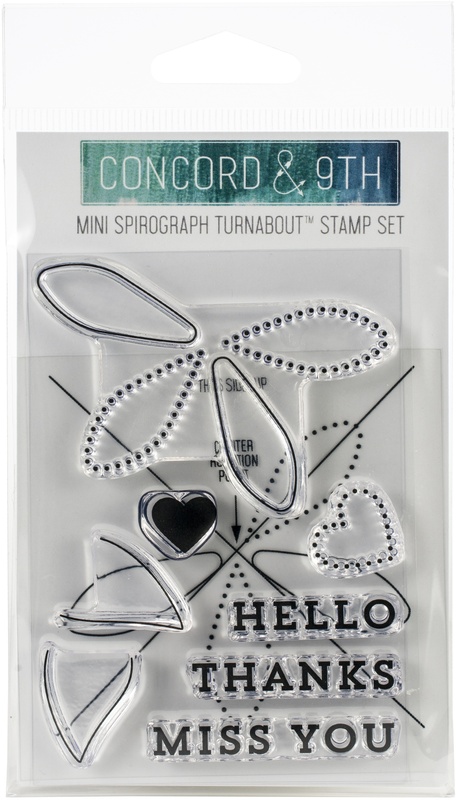 This package contains Mini Spirograph Turnabout: a set of 8 stamps on a 3x4 inch backing sheet. WARNING: Choking Hazard. Not suitable for children under 3 years. Made in USA.